Discover great people. Build happier teams. All with LinkedIn Jobs. Only LinkedIn Jobs has the power to connect you to professionals who are open to new opportunities, but not actively searching. "If a colleague asked me what it takes to be a good recruiter in 2017, I'd say LinkedIn Jobs. I'd be lost without it." 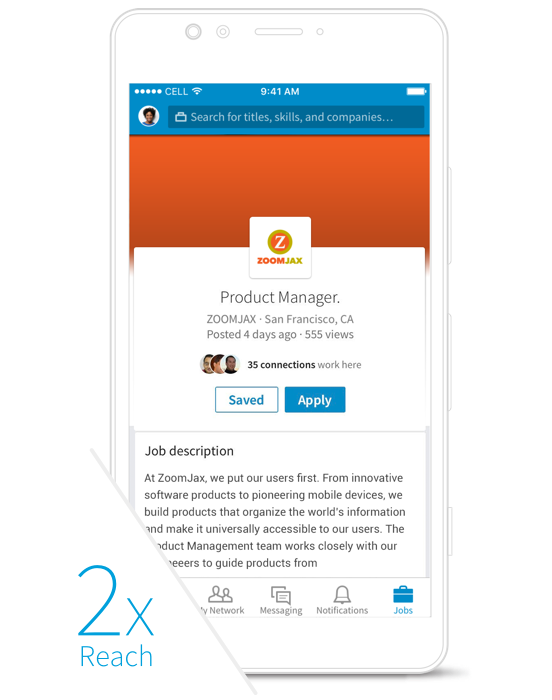 Join our live webcast the week of June 21 to find out how you can reach more great candidates using LinkedIn Jobs.